What Is A Bridal Set and How Will It Help Save You Time? From the time you start picturing your life with your significant other, to the time you finally say ‘yes’ to marrying them, there’s one piece of jewelry on your mind: the engagement ring. And, although this ring is the star of the show, there’s a really easy way to save time (and potentially money) by thinking two steps ahead. After the engagement ring is finally picked out and purchased, it seems like a huge weight has been lifted off of both you and your partner’s shoulders…until a few weeks before your wedding day when you realize you forgot about your wedding bands. Then, the whole process starts over and you’re on the hunt for ring #2. So what’s the easiest way to prevent this all together? 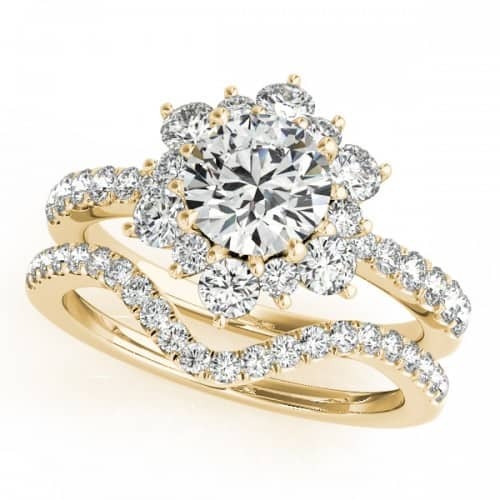 Cut down your time and hassle by purchasing a bridal set the first time around. selling diamond engagement rings. Available in white, yellow and rose gold, these stunning sets will give even Dolly Parton a run for her sparkly money. Here’s a few examples of some of their best selling sets. 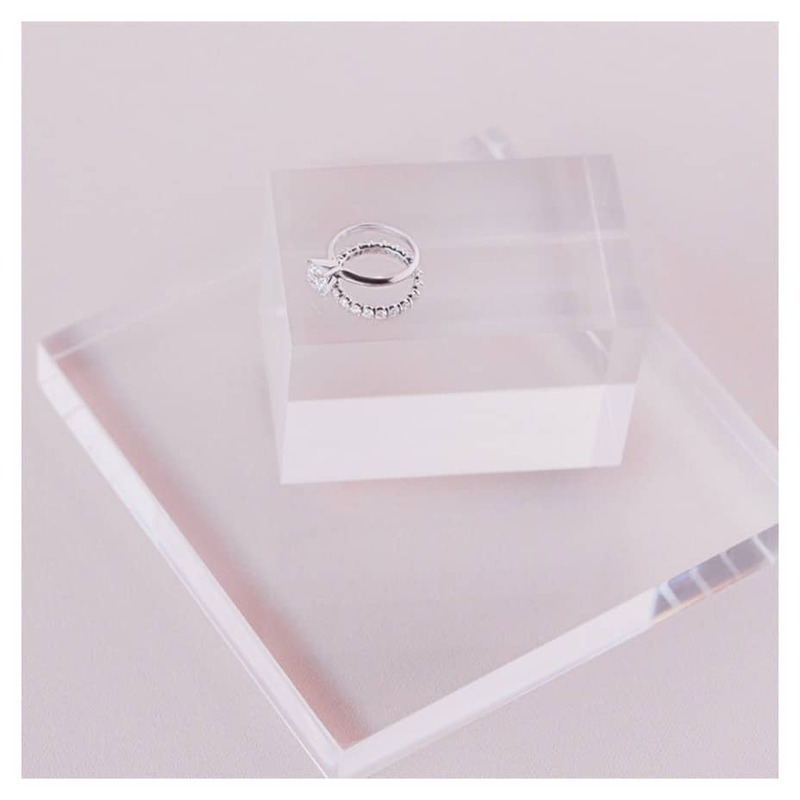 The delicate features of the petite floating gem ring are stunning from a mile away. Featuring a brilliant row of hand-set lab-created diamonds, the sparkle of the ring will extend more than halfway around your finger! 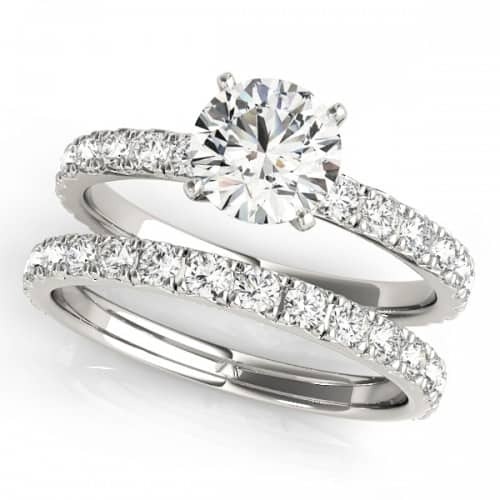 Pair it with the stunning, yet simplistic, diamond wedding band and you have a jaw-dropping matching set! Need more convincing to purchase a set? Look no further. The grand classic halo engagement ring alone is a sophisticated and glamorous piece, but by adding a staple band of lab-created diamonds that fits perfectly under the lip of the halo, the two pieces compliment each other and create a vision of unity. If you’re really hoping to ‘wow’ onlookers with some serious sparkle, the Eleganza engagement ring + matching band is the perfect way to go. Featuring a halo of lab-created diamonds that encircles and enhances the center stone of this spectacular ring, you’ll be elated that you went with a bridal set! 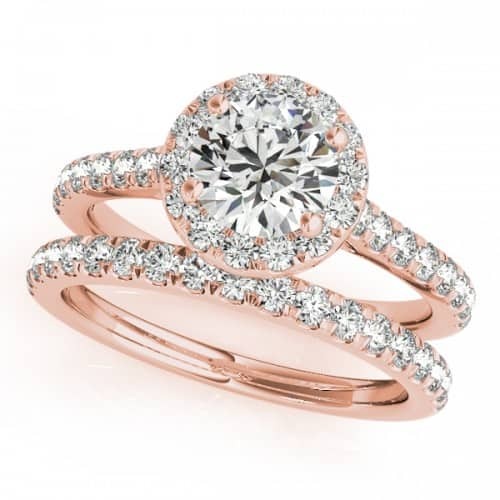 Since some engagement rings include features that would prevent a wedding band from sitting neatly underneath it, the jewelers behind Clean Origin offer many wedding bands that compliment the shape of the center stone. This contemporary yet timeless star-shaped ring is the perfect fit for the woman who likes to stand out in the crowd. So you might be thinking, “what if I find an engagement ring that I absolutely love that doesn’t come in a bridal set?” We’re so glad you asked! Clean Origin offers a large selection of stunning and diverse wedding bands. Simply bring this up to one of their many diamond experts and they can help you find a wedding band that will work beautifully with your ring. Then, you still have a complete set at purchase and you’re still checking off two boxes in one! 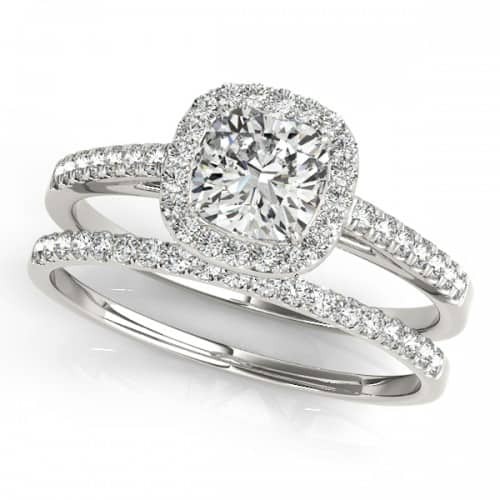 If you’ve started your hunt for engagement rings, make sure you look at bridal sets or matching wedding band options. Not only will this save you time down the road, but it will be one less thing that you have to check off your pre-wedding list. Plus, it will ensure that your engagement ring and wedding band are the perfect match…just like you and your future husband/wife!